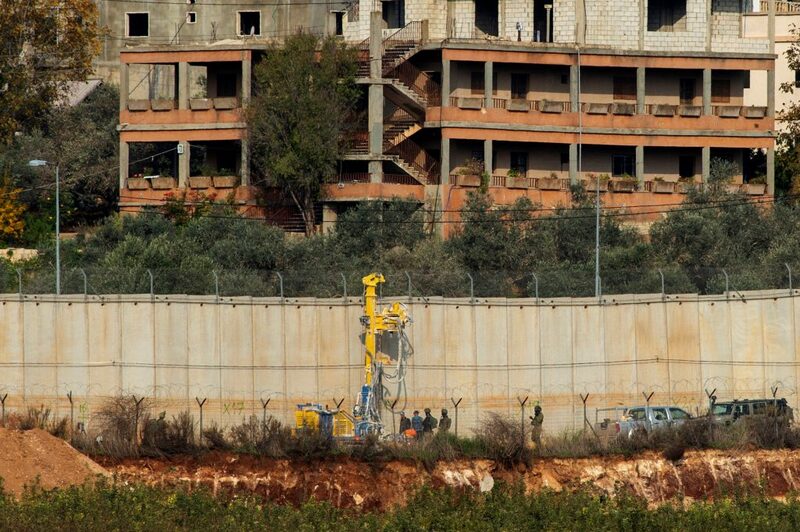 A Lebanese report Tuesday said that the Lebanese army was increasing its readiness for possible security events, as Israel announced an operation to demolish terror tunnels that have been discovered in northern Israel running from south Lebanon to northern Israel. Earlier Tuesday, the IDF released for publication that it had begun an operation to destroy terror tunnels that were discovered – in northern Israel, built by Hezbollah to mount terror attacks inside Israel. Numerous underground tunnels were discovered, the IDF said, and an “ongoing campaign” to destroy them has begun in recent days. Speaking to Channel 20, former Director General of the Israel Ministry of Strategic Affairs Yossi Kuperwasser said that the situation was fluid, and that there was a “potential for escalation. Israel must act in a cautious manner and be aware of developments. This is a rare event when Hezbollah has been caught red-handed by the IDF. “So far the terror group has not responded, but we must remain aware. It’s important to stress that the activity will be taking place within Israeli territory, but Hezbollah is definitely at a disadvantage, as they have been working on this for years. They may act out of emotion, not logic, so we must be prepared,” he said.